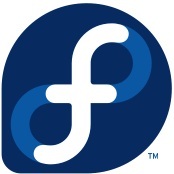 Fedora's LXQt desktop is at risk of being dropped if new packagers do not step up to maintain this lightweight Qt desktop environment's support. LXQt for Fedora right now is already outdated and in need of some adjustments for better integration into the Fedora ecosystem. But the core Fedora LXQt packager has since left and another Fedora packager who had stepped up to maintain the LXQt bits is needing to move on due to his university work. So as it stands now, there isn't anyone to spearhead the work on maintaining the LXQt desktop packages -- or the Fedora LXQt desktop ISO spin -- moving forward. The current maintainer announced his resignation and one individual so far has expressed interest in helping out but is not yet an official Fedora package maintainer. Thus for now it's looking like the Fedora LXQt desktop support could be in jeopardy.